According to the Pocketnow sources, HTC Edge might be the world’s first mobile phone powered by quad-core processor. They have also posted an image of the phone (above). 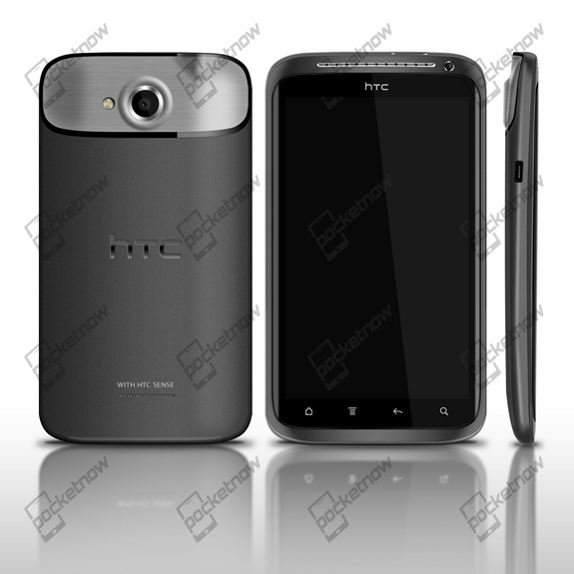 This would come with a 4.7-inch HD 720p display similar to the HTC Rezound (Vigor). It would be 10mm thick. Other features of the phone would include, 1 GB of RAM, 8MP auto focus camera with flash and 28-millimeter wide-angle, f/2.2 lens. It would feature AP30 Tegra 3 CPU from Nvidia, which offers four 1.5GHz cores compared Rezound’s 1.5 GHz dual-core Qualcomm CPU. It would have 32GB of Internal Storage, Bluetooth 4.0 and would also feature Beats Audio. It would also come with the improved HTC content services such as, HTC Listen music store, HTC Read bookstore, and HTC Play gaming hub. The HTC Watch movie portal will be offering HD content and it might also be the first phone with Sense 4.0 UI. There would offer 21Mbps HSDPA connectivity and there is no mention of LTE support. The version of the Android still not mentioned. In would likely run on the Android 4.0 (Ice Cream Sandwich), otherwise the upgrade would be available in future.